Boat Insurance or Watercraft Insurance or fishing boat, ski boat insurance. Call today for Insurance Quote. In tough economic times some people are tempted to let their Insurance coverages lapse. Should you ever need to use your Boat or Watercraft Insurance, however, it is one of the best investments you could make. If you’re in an accident or your boat or watercraft is stolen, it costs money, often a lot of money, to fix or replace it. If your boat or watercraft is responsible for damage or injury to others, you may be sued for much more than you’re worth. If you are injured by an uninsured boater, uninsured boat or watercraft coverage will provide coverage for you. 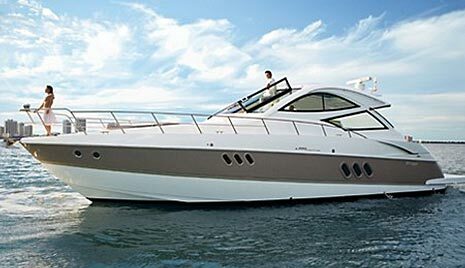 Your boat or watercraft needs protection on the water, and on land, with coverage for you, your guests, and your boat. Every boat’s got a different story. You can put together a boat insurance or watercraft insurance policy that fits your style and your personal boat or watercraft perfectly. There’s no way around it: When you’re out on the water there’s always a chance that something might go wrong. One of the most important things you can do is make sure you’ll have help with medical bills if you should get hurt in an accident. If you or someone in your household gets injured on a boat or watercraft covered in your policy, this coverage typically helps take care of the medical expenses that come afterward. When you’re in the boat or watercraft, you’re covered-and so are your passengers. Water-skiers being pulled behind the boat are also covered. If you or your passengers should get injured by another boat or watercraft while swimming near your boat, Medical Payments coverage typically kicks in then, too. The limit you choose for this coverage will decide how much that coverage could be. When something goes wrong, good coverage could mean the difference between sinking and swimming. This optional coverage typically takes care of your boat, motor, and trailer all the time-when you’re storing it, hauling it, launching it, or out on the water. If it’s stolen, vandalized, or damaged by wind, hail, lightning, fire, or explosion, this coverage can help. It also covers emergency service (up to $100), wreck removal, and other boat equipment. You can choose a different amount of Physical Damage coverage for each boat on your boat insurance policy or watercraft insurance policy. You’ll also need to choose a deductible. (If you have to file a claim, that’s the amount of money you’ll need to pay before your coverage kicks in.) You can pick a different deductible for each boat or watercraft on your policy. Call Washington and Co Insurance Agency in Cleveland, Ohio (216) 691-9227, or go online and fill out form and submit form, or email us with any questions or concerns. We are here to help you navigate through the quoting process. For a personal quote on Boat Insurance or Watercraft Insurance contact Washington and Co Insurance Agency, Cleveland, Ohio, (216) 691-9227.or fill out the quote form and submit the form for a quote.